Sigtrap and Coatsink have announced that Sublevel Zero Redux will release on Nintendo Switch, a roguelike six-degree-of-freedom shooter that is set in a universe where reality is falling apart. Piloting a gunship, in which you can fly and rotate in all directions to attack from any angle, you must fight your way in zero-g through a procedurally generated underground facility to recover the technology you need to escape. Taking inspiration from Descent and Forsaken, with no lives or saves the retro gravity-defying combat will challenge you to collect weapons, upgrades and items that you can craft together to suit your play style. 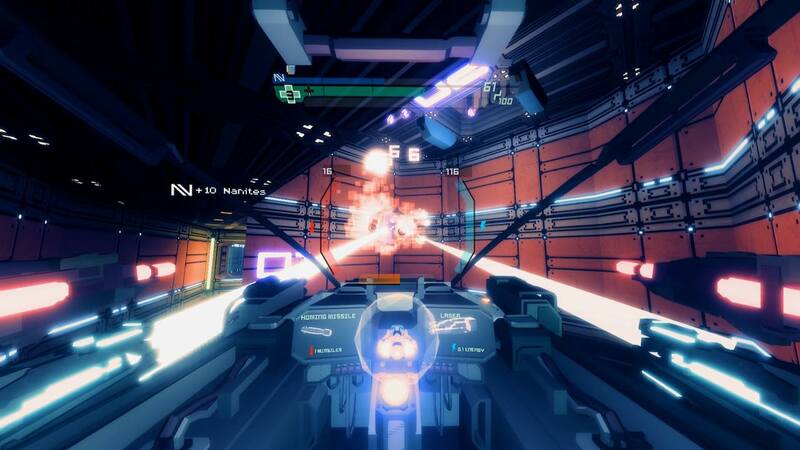 “The creation of SubLevel Zero Redux was inspired by gaming classics from my childhood such as Descent on PC and Forsaken on Nintendo N64,” explains Sigtrap co-founder Luke Thompson. Sublevel Zero Redux will release on the Nintendo eShop for Nintendo Switch worldwide in 2018, priced at £17.99 (€19.99 / $19.99).